Here is a 30 vacancies in National Thermal Power Corporation Limited for the designation of Diploma Engineers. All these 30 jobs is for the diploma pass candidates in the following branches.For this NTPC recruitment 2018, candidate has to pass 2 online test. 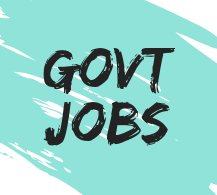 All the information about this latest govt jobs for diploma pass candidates are given below. Educational Qualification → Diploma in any of the give trades. Selection Procedure → Online tests will be conducted in two stages. Each paper is of 120 questions and 2 hours. Stage 1 ⇢ First week of July 2018. Stage 2 ⇢ 3rd / 4th week of August 2018.